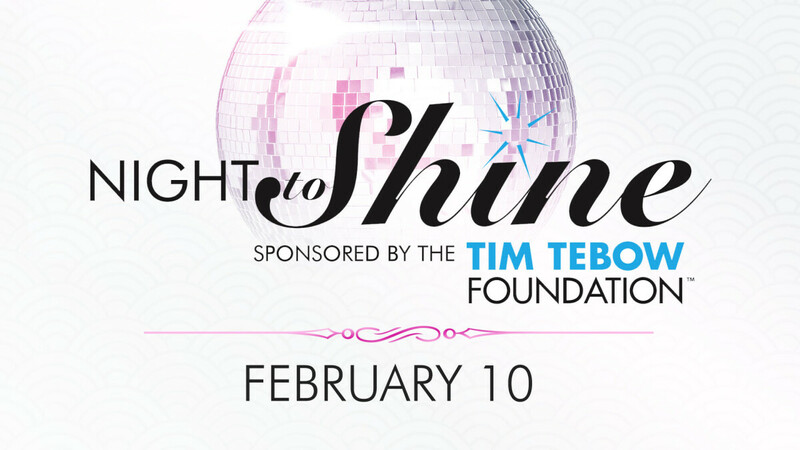 Night to Shine is an unforgettable prom night experience, centered on God’s love, for people with special needs ages 14 and older. The event will take place at more than 350 churches around the world, simultaneously on February 10, 2017 from 6:00-9:00pm. The evening will be filled with photos, lights, music, dancing, food and fun for all involved. Night to Shine celebrates the uniqueness of each individual guest by providing an unforgettable night where they are welcomed, valued and loved. Registration for this event is closed. Check out our Special Needs Ministry page for other great upcoming events!